If you have recently been the victim of an accident in which you were not the cause, you owe it to yourself to file a personal injury claim. There are many experts in personal injury law in Dallas but the attorneys at David Kohm Law Firm are equipped to help you with your case. If you are experiencing both physical and emotional suffering as the result of the injuries, it’s high time to do something about it. Where Can You Go To File Injury Claims? If you have no experience in filing injury claims in Dallas, you may not know where to go in order to accomplish this important goal. There are many different legal practices, but if you’re looking for a personal injury attorney in Dallas, David S. Kohm and Associates are ready to help. Armed with experience and knowledge, it shouldn’t take you long to know you made the right decision. What Can An Injury Attorney Do For You? There are many things that an injury attorney can achieve on your behalf. Perhaps the most important is the experience to fight and gain you fair compensation for the expenses that you have incurred while undergoing medical treatment. In addition, we can also help you cover all of the wages you missed because you were unable to report to work while recuperating from your injuries. 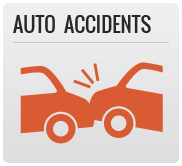 The sooner you file your personal injury claim, the sooner our attorneys can get to work. It’s an excellent idea for you to arrange for a free consultation with our team to examine your injury claims. 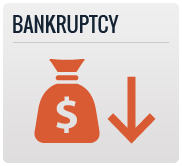 The sooner you do so, the sooner our attorney can give you a reasonable idea of what to expect from a settlement. Talking to one of our personal injury lawyers will let them know everything we need to know about the injuries that you have received, as well as a clear idea of your psychological trauma and financial damage. 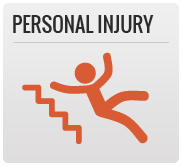 Contact A Dallas Personal Injury Attorney Today! It’s an excellent idea to contact our Dallas personal injury attorneys for a FREE consultation. Your bills are mounting and you desperately in need of help. Our team can represent your case in court and help you obtain the settlement you need to resume your full quality of life, free of physical and financial difficulties. You owe it to yourself to get the justice you need to resolve your case. The sooner you confront the situation, the sooner you can go back to your day to day activities. 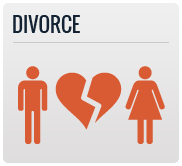 Our Dallas injury attorneys can help you reclaim your health, happiness, and independence. Rated 4.4/5 based on 66 reviews.